When you think of licensed, you might think of your sixteen-year-old becoming old enough to drive or perhaps someone just got the ability to carry a firearm in your family. Though both a big moments in someone’s life and also deserve commemoration, these ornaments are for a different license. 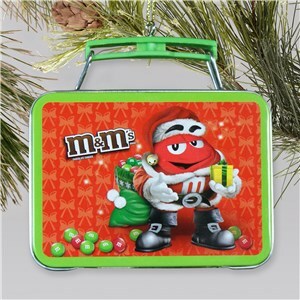 GiftsForYouNow.com has teamed up with some very sought after figures in pop culture to bring you Christmas tree ornaments with some of our most beloved characters. Most children love cartoons. The characters become part of their childhood and will be something they remember for the rest of their lifetime. Give them something else to remember their childhood heroes with by purchasing one of the licensed ornaments available from GiftsForYouNow.com. Dora the Explorer and Abby Cadabby are ready to adorn your Christmas tree so they can help spread even more joy to the children in your family. Music moves everyone. Some of the greatest and most influential artists have teamed up with GiftsForYouNow.com to bring some extra special holiday ornaments this year. 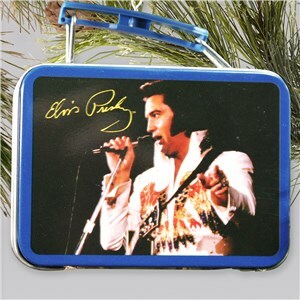 The King, Elvis, can be up on your tree so it is much more than just a hound dog this Christmas. If Elvis isn’t your style, the origins of rock n roll can grace your tree eight days a week. The Beatles Christmas ornament is the perfect way to let your loved ones know that even it has been a hard day’s night, all they need is love. Maybe cartoons and music isn’t what you family fell in love with. GiftsForYouNow.com offers other options for you and your loved ones, so don’t worry. 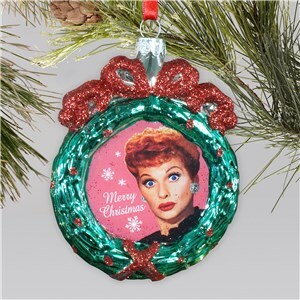 I Love Lucy, Hello Kitty, and M&M have all become part of the customizable Licensed Ornament family. Give a personalized gift this year that speaks to what your loved ones really enjoy.